Some aquarium hobbyists prefer the keeping of pet turtles as a past time hobby, indeed turtles can really make a great addition to well designed turtle tank. One of the most preferred fresh water turtle species that is currently a favorite in the hobby is the Mud Turtle. The turtle just like many other turtles that are being kept as pets requires similar care except that it is semi terrestrial. The characteristic small body size of these turtles is what makes them highly preferred over other turtle species. A small sized turtle is easy to care for and will not need a large tank. It is very rare to find a mad turtle that grows to maximum body size of five inches in length. These animals are small and compact in overall body size and therefore can be readily reared even in nano tanks. The turtle also interestingly can live for so long and in captivity it is estimated that it can live more than fifty years. In the wild, experts claim that it can live more than sixty years. The bottom line however, if you want yours to live longer, is to give it appropriate care in captivity. They are super small with a mature turtle growing to a maximum of just five inches long. It must be noted though that there are usually various types of mud turtles species and therefore their appearances usually varies. There are some varieties that may look similar even to the musk turtle species. They have a got carapace that is not that high dome-shaped as other varieties of turtles. The shell of a healthy mud turtle is usually oval shaped exhibiting dark brown coloration although this may vary depending on the region that the given turtle is coming from. The Mud turtle like inhabiting freshwater ponds that have got vegetation or those even without. In most instances because the mud turtle is usually shy and like to hide, you will find it living in heavily vegetated ponds of water. This enables it to have lots of places to hide in when it feels threatened or if it simply wants to be alone and not to be disturbed. The other places that these turtles are usually found inhabiting in the wild are the spring-fed streams. These turtles like clean waters with sufficient levels of oxygen that make them thrive better. 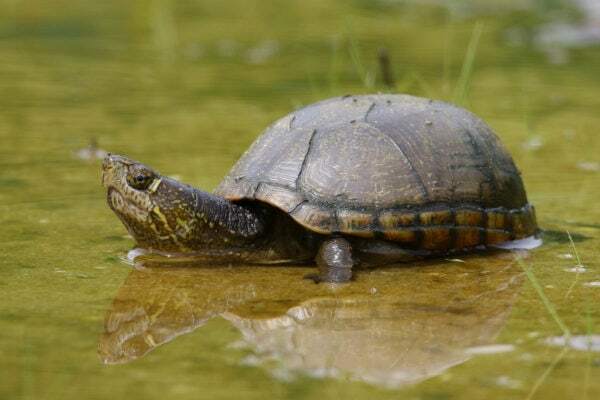 In most cases in the wild, the turtles will be found on sandy or muddy areas of the water body. Occasionally, when the environment outside is not conducive for the animal it is known to burrow deep into the mud to escape the ravages of the hostile weather until the next optimal season. These turtles are native to the Americas well spread out across the vast region including the US itself, Mexico, South America, and Central America. Caring for the mud turtle is easy and if all the recommended conditions are provided it will lead a healthy life. 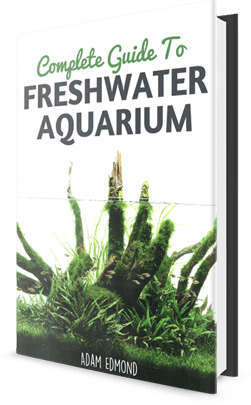 It is better to provide sufficient space to it if you are going to keep it in a captive tank. For one or two turtles housed together, a tank that has got a minimum of 48 gallons is even better. Because mud turtles like to bask, providing a basking spot for them is advised. A basking area can be designed within the enclosure. A good method of providing heat on the basking area is using a heat lamp which should be placed above. The heat lamp needs to be set to ideal temperature conducive for the survival of the turtle. The heat can be set to at least 90 degrees Fahrenheit. It is best to ensure that the other areas of the enclosure have heat dimensions of between 80 – 85 degrees Fahrenheit but should not go lower than the 70 degrees Fahrenheit mark. As for the water temperature, a heater will be needed to help regulate the water temperature between 70 – 75 degrees Fahrenheit. There are some turtle hobbyists who argue that substrate is not important but in this case you should consider it. A good choice of substrate for the mud turtle is gravel which should be placed just on the bottom part of the tank. For the purposes of the turtle’s shell health, using a UVB light bulb is advised this can be placed over the animal’s enclosure and be put on for at least 12 hours every day. The turtle just like most of the other fresh water turtles is omnivorous meaning it eats both plant products as well as other small animals. This fact makes the turtle very easy to feed and care for. It can be offered commercially produced pellet turtle feed. Just ensure that you provide the animal with sufficient amounts of calcium and vitamin supplements. Remember proper nutrition is usually vital for the overall good health of the animal especially if it is being kept in captivity. It is a highly social animal that will readily share a tank with other turtles of its likeness. It has also been established to cope well with other small turtles such as musk turtles. Due caution however needs to be observed when you need to hold the turtle because they will bite when they are threatened or stressed. Their bite can cause injury and therefore small children need to be kept away from them as much as possible. They also foul smelling liquid from their glands which can be irritating so it is best to keep them feeling relaxed and safe. The female of the Mud turtle is known to mature in their sixth or eighth year. The process of Vitellogenesis usually beings in the early fall and will continue until the next season of nesting. With proper conditions set for the animals even in captivity, they will just breed and produce new young ones without much ado.